Another great has left us. Ernest Borgnine died on Sunday. When I heard, my immediate thought was of his film, “Marty.” Run and get it, if you have not seen it. I remember first seeing “Marty” on the television Saturday Afternoon Matinee movie. Being a young woman, all filled with ideas of romantic action-heros–my favorite at the time being John Wayne–I did not much appreciate the movie. Yet, something about it stuck in memory. This says a lot about the film. I think that it stuck in my mind at an early age gives indication of my natural in-born bent toward appreciation for the everyday hero, and for fine storytelling based on character. The film “Marty” is based on a play originally written by the great writer Paddy Chayefsky, who was known for writing ‘kitchen-sink’ dramas. Don’t you know, that is just my bread-and-butter with tea. “Marty” is one of those universal stories to which every person can relate. It is the story of a normal, everyday decent guy and of the people around him. It’s the story of the culture of the 1950s– after WWII and Korea–when men came home and had to make a place for themselves in a society suddenly changing at lightening speed. It is about the men, and women, too, who have a hard time fitting into the world around them. It is about aging; how vulnerable aging women were in that time, and frankly, still are. (My mother lives with me.) It is funny, too, because the ‘old’ women portrayed are only in their late fifties! Oh, my, how times have changed. But those ages are only facts. The human struggles portrayed in the film are timeless. The story at the heart is about two people struggling to be themselves in a world that is trying every which way to make them be like everyone else and to please everyone else. Not only is Marty not encouraged to be himself and follow his dreams, but everyone around him discourages him, because for him to change means change will be required of them. This is the very heart of living. In the end, Marty understands and does what we all must do in such a situation. He encourages himself. Be in your own corner today. Encourage yourself. I like to think that Ernest Borgnine did exactly that in real life. He was happy and lived long and prospered. Now, stop and get the film. Just this morning I had coffee and conversation with an elderly neighbor and we talked and talked about the changing times and values. Those movies, perhaps unconsciously on the part of the writer, perhaps not, were a living record of the values of their time. I am not certain many modern movies have the same quality of story-telling and human soul exploration. I wonder if this is not a lost art and younger generations will never witness that form of portrayal of our society again. Great post… as always. Thank you for the thoughts. I use the term ‘domestic fiction’ to describe such stories as ‘Marty’. Such storytelling does seem to be fading from popularity in our culture. It is the big and noisy that gets the limelight. But surely there are many of us that love the deeper, the soft nuance and truth that is rock solid. Many of us do continue to write with pen and paper, too! 🙂 Thanks for sharing, Granny. He indeed was a great actor,…I love everything he was in from the stage to the screen, He will be missed for he was one of a kind. I loved your post and the sincerity of a sharing heart within. Your words carry a certain brightness, that will never be distinquish. Thanks for sharing the glowing part of you! 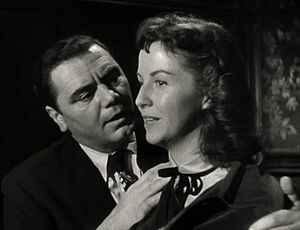 Yes, Mr. Borgnine was one of a kind, and such an inspiration. Thank you for your own encouragement! You know, no one in the world writes like you. You fill my heart with gladness, and my soul with joy. I miss you too.